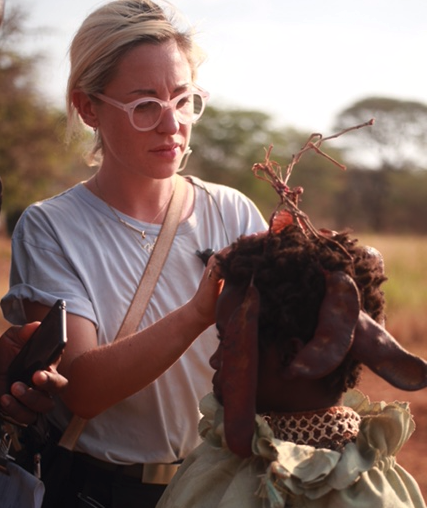 With Costume Designer Holly Rebecca at the helm (pictured here on the set of I AM NOT A WITCH), first time feature director, Remi Weekes is now in production on the Sundance Institute’s NHK Award winning, HIS HOUSE. The elevated horror follows a young refugee couple who make a harrowing escape from war-torn Sudan but then struggle to adjust to their new life in a small English town that has an evil lurking beneath the surface. Produced by New Regency Pictures and BBC Films the film stars Wunmi Mosaku and Sope Dirisu.